It’s Monday morning. I am waiting for the coffee to finish brewing and I’m feeling a bit punchy. (That should say something about where this post it going.) The reality TV show I watched last night, also known as the presidential debate, left me feeling like this…. Normally, I shy away from writing about politics but as a teacher (and a mom) I feel the need to give some unsolicited advice to Donald Trump and Hillary Clinton. Just a few little things I teach my children to help build character and improve my children’s social skills. I sure hope Trump and Clinton were once taught these skills but it may be in their best interest to practice and (re)learn some of them before the next debate. It is polite to shake hands. If you do not have anything nice to say, do not say anything at all. Do not lie and do not exaggerate the facts. My absolute favorite question came at the very end of the debate from a man named Karl Becker. I clapped and cheered when he asked, “Regardless of the current rhetoric, would either of you name one positive thing that you respect in one another?” Cue Elle Wood’s pink, glittery Snap Cup. How awesome would it have been to see Anderson Cooper pass out pink scented paper and fluffy, pink pens to write with. I can just imagine Martha Raddatz singing the “Snap Cup” song. It would have totally improved everyone’s moods. In the spirit of being helpful, here are a few “Snap Cup” worthy answers for both Trump and Clinton, you know in the case they were ever presented with a question like that again. See, that wasn’t too hard to do! In all seriousness, I still think this country is great. I still have hope. I am sad we have such a divided nation but I am not afraid. My hope is not in any candidate or even in the process. My hope comes from the Lord and He is not surprised by any of this. My heart is turned heavenward and my eyes pointed forward. I will keep on praying. Praying for this country, for Donald Trump, for Hillary Clinton and praying for the leaders of the world. Whoever wins this election, I will continue walking in faith and doing the things that I am called to. There are people in need and people to love. A younger generation is watching and learning. I plan to do what I can to be a good example of what it means to love people and teach my children to do so too. I think we all can agree, despite political stance, that this country needs more love. May God give us what we need and may God bless America. ****If you are looking for free resources on character education. Check out Character First . Their elementary curriculum provides timeless character traits in a bold, fresh manner. Lessons are designed for students in public school, private school, home school, day care, summer camp, or any other educational setting. You Two Remind Me of That Couple…..
Until today, I had been on a two year hiatus from dental care. I know, I know. I should have been to the dentist every six months but whatever…life happens. The more important thing was I was back in the chair, wishing the x-rays were over, dreading the news of how many cavities needed to be filled, and preparing myself to hear how I should floss more often. My husband (who had been on a longer hiatus than me…just saying) was talking with the dentist. We had decided to schedule our appointments together, one right after the other. He had gone first and now was in the x-ray room saying goodbye to me and bragging reporting that he had no cavities. The dental hygienist, a pretty woman in her late twenties, came into the x-ray room and led me down the hall. Once seated in the chair, she instructed me to open my mouth and stuck the suction-straw-thingy that hangs out of your mouth. I think my kid’s dentist refers to this tool as “Mr.Thirsty.” As she worked, she began to share with me about her life and ask questions about mine. I mumbled back and shook my head “yes” and “no.” Amazingly, she understood my incomprehensible syllables and sounds. The cleaning and exam continued and she continued to share. I continued to mumble. This pattern continued for awhile. Some of the details she shared were very personal and private. She had recently been through some dark times in her life. A single mother, trying to make her life better for herself and her son. There was an incredible sense of sadness and exhaustion about her. As she talked, I wish I could be free to speak without all the “stuff” in my mouth. 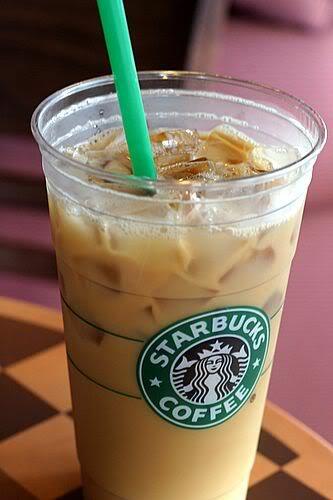 To touch anything besides the chair and the cup they give you, seemed off-limits. But as she talked, I felt moved and could not be silent any longer. I don’t remember exactly what she said but I knew she needed some encouragement. So when she went to clean my top teeth, I stopped her. I defiantly closed my mouth, yanked Mr. Thirsty out and started to ask her deeper questions about her life. Amazingly, she answered them. She listened to my advice and I tried to encourage her without seeming to like a counselor. She seemed a bit surprised by all of it but at ease and I felt some peace seep into the air. By the end of the exam, we were good friends. Oh, my sweet girl! Bless you for the compliment! Joanna Gaines is beautiful and I love her style. Yes, we are very happy but we are far from perfect. There are a few things you need to know. I cannot speak for the Gaines. I can only infer they might agree with me. There are some similarities between us.The Gaines have a reality TV show, sometimes our life feels like a reality TV show. The Gaines are in the business of seeing the potential in “fixer-upper” houses, we are in the business of seeing potential in “fixer-upper” people. We are not perfect couples. We are not perfect people. We both have faith in Jesus Christ and He is the only thing perfect in our lives. Everyone goes through dark times in their lives. Everyone experiences trials, temptations, consequences of poor decisions and challenges. Each one of us is navigating through life, have hopes and dreams and wants to be loved. Sweet girl, the difference is we have found peace in Jesus-perfect peace. We walk through the dark times with The Light. We are loved beyond measure and rely on Someone greater than ourselves for strength. Jesus is “fixing-us-up” daily. As he “fixes” us, we hope others can see Him. Light, love, hope, restoration, and peace (all to God’s glory not our own.) Our smiles are wide and bright not because everything is perfect or we have great hygienists, we smile because we have been redeemed by the blood and love of Jesus. And that my friend, is worth more than anything the world could ever give you. Happy St. Patrick’s Day! I hope today brought you more kisses than pinches, shamrocks and rainbows, and laughter and blessings. Tomorrow, I will return to writing about the process of finding a good balance in life and using our time wisely. But today, I wanted to write about a little bit of mischief and a little bit of fun that took place in our house. On the eve of March 17th, legend says that a “leprechaun” travels from the green hills of Ireland to the green hills of New England to play some harmless tricks while the children sleep. The “leprechaun” was back and at again this year. “Lenny” made a mess of things. He turned the toilet bowl water green, spread green and white feathers in the bathroom, wrote a message in green sugar sprinkles on the kitchen counter, and left a little note with a small treat. After the excitement of the tricks wore off, the kids and I took a few minutes to make a new batch of playdough. I added a few extra drops of water and oil to my basic recipe. I think that this made the playdough’s consistency smoother and easier to work with than past batches. Don’t forget the GLITTER!! The glitter is the best part. 🙂 I added two whole tubes of each color. In a medium saucepan whisk together the dry ingredients. Next, mix in the water, oil, and green food coloring. Stir until a thick batter is formed. Cook the mixture over a low heat until a thick dough forms. Spoon the playdough onto parchment paper or a plate. Knead until smooth. Makes about 2 cups of dough. I usually double the recipe for use with three kids. There is much more to this holiday than leprechauns, parties, parades, and pots of gold. My favorite part of the day was reviewing the life of Saint Patrick. What an amazing man! What a story of faith, answered prayers, and very bad circumstances turned to good for God’s purposes and His glory. I could tell you the details of his story myself but it may be more entertaining to watch them. I found this Veggie Tales video on the life of St. Patrick. If you have a good sense of humor, you might like it. If Veggie Tales makes you cringe, you may want to Google his life. Either way, I think learning about Saint Patrick will inspire you. Our journey began at 3:00 am. The house was still and quiet in all rooms except one. In our room, the silence was interrupted by my husband who was gathering the last of our belongings and bringing them down the stairs. Sleepy-eyed and weary, I looked over to my children. They were sleeping peacefully. Their innocent faces looked as though they were dreaming of carefree, happy things. It had been a long time since I had stopped to watch them sleep. A flood of memories washed over me, bringing me back to when they were helpless infants. 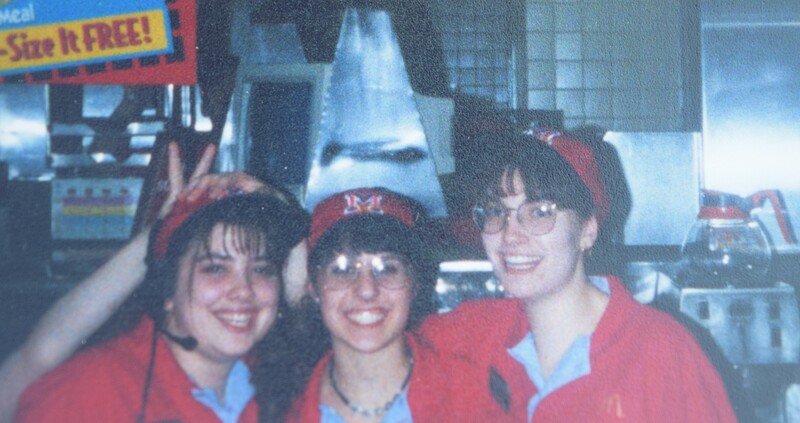 Nostalgia brought a bittersweet bite. Time was going by too quickly, the kids were getting older and growing into beautiful young people who no longer fit in my rocking arms or depended on me for their every need. This quiet moment was a gift. I breathed it in and captured it in my heart. “Alright, let’s go,” my husband said when he reentered the room. I dragged myself out of bed and forced myself to get dressed. My shirt and sneakers felt cold and intrusive. We had a 12+ hour drive to conquer. My husband was anxious to get on the road. He was hopeful that our early departure would help us miss the traffic as we traveled back home. I woke and dressed the kids as quietly as I could. We tiptoed down the stairs, gently closed the door behind us, and settled ourselves in the van. As we pulled out of my brother’s long, rocky driveway, the shadows of the dark VA woods whispered and waved goodbye. My heart was heavy. We were leaving my family again. It had been two years since we all had been together. In those two years, there had been babies born, traveling done, and personal growth of all kinds. The several days together were filled with cooking, laughter, silliness, heart-felt conversations, admissions of regrets, and shared hope for the future. My heart swelled when I had held my baby nephew and watched my children laugh and play with their cousins. The happy chaos and noise of 15 people under one roof, was familiar and comforting. It was home. On the road, I drifted in and out of sleep, thinking of the time with my family and how things have changed. I woke up just in time to see the Washington Monument and the Jefferson Memorial as sped through DC. Two hours later, I was awoken again by a beautiful sunrise. The light blue sky were decorated by rosy-pink, fluffy clouds and a blazing red, round sun. The day was filled with new hope. Somewhere around CT, it started. I knew it was more than just exhaustion. My stomach rumbled and cramped. This was not a good time to get sick. My husband took over the driving but I knew that I would have to drive another leg of the trip. He looked exhausted. I did all I could to push past the sickness. We had two more hours to go. I prayed and dug into supernatural strength and fierce mom determination. All I wanted to do was get home. The highway rolled along and I started to see signs of towns and cities familiar to me. We were getting closer. One last toll booth to go. I slowed the car down and rolled down the window. The toll booth worker was a pleasant looking man with a bristly, white beard, a New England Patriots hat, and a florescent yellow safety vest. “Home,” I said. “We have been driving since 3:00 this morning.” I hoped that my words would serve as some sort of excuse for my ghastly-appearance that he seemed to care nothing about. “Where’s home?” he pleasantly asked. There were cars lined up behind us but this toll booth worker seemed to pay no attention to that fact. His smile and focus was on me. I told him where home was. “Well, you’re almost there then. WELCOME HOME!” The words gave my spirit a surprising lift. I thanked him and he sent me off with another smile and twinkle in his eye. Two little words,”Welcome Home,” hit me with so much power. Those two little words gave me what I needed to complete the drive home. Maybe he was an angel. Maybe I was delirious. But that one pleasant person, who chose to spend a few extra moments with a stranger and offered kind words, changed my day. Is “home” in the heart of memories brought back by the faces of your sleeping children? Is “home” among the laughter, tears and time spent with family members who you long to see more often? Or is “home” a geographical location? Is is possible that “home” is in all these things? I think so. I think that home is where love resides. Where memories take hold in your heart. Where people are kind and love you no matter what you look like or what the depths of you hold. I think home is the land you love and the fresh air that you breath. The comfort of a sunset and the hope of a sunrise. Until, I am among the glory of the LORD and enter my final, heavenly home, I will have many homes here on Earth. Each one bringing a unique sense of comfort of its own. I still miss my family and the days that have passed. But I will rest and enjoy being where I am now. Hopefully, back to the routine of every day life soon. Surrounded by a wonderful husband, children, friends, and a church family who love me and make this “home” a place that I love to be. “Where we love is home – home that our feet may leave, but not our hearts. Oliver Wendell Holmes, Sr. 1.) I am proud to be a New Englander! 3.) My dad was an off-shore fisherman and a quahoger. 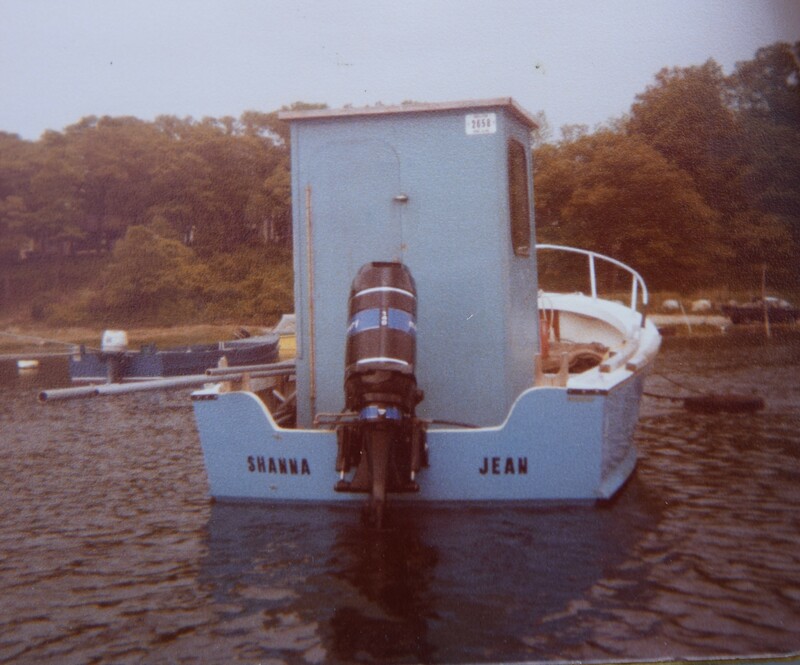 He named his first boat after me. 4.) I love the snow and skiing. 5.) 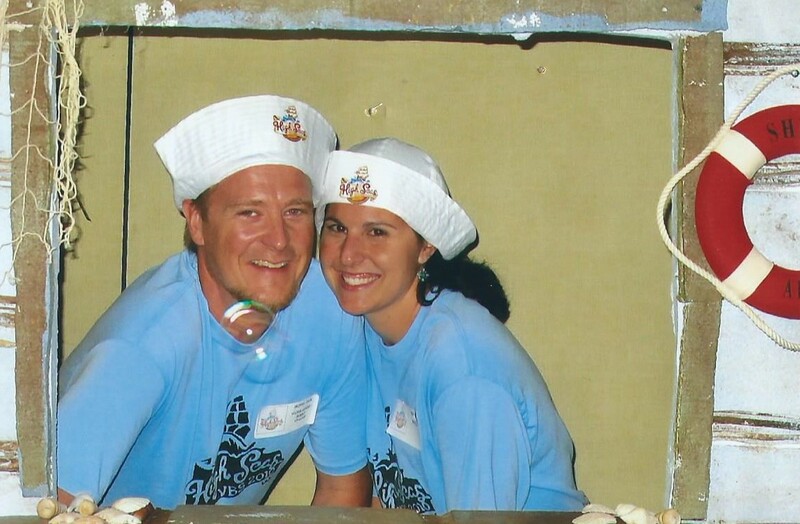 My pastor husband and I have been married for fourteen years. He is also my best friend. 7.) 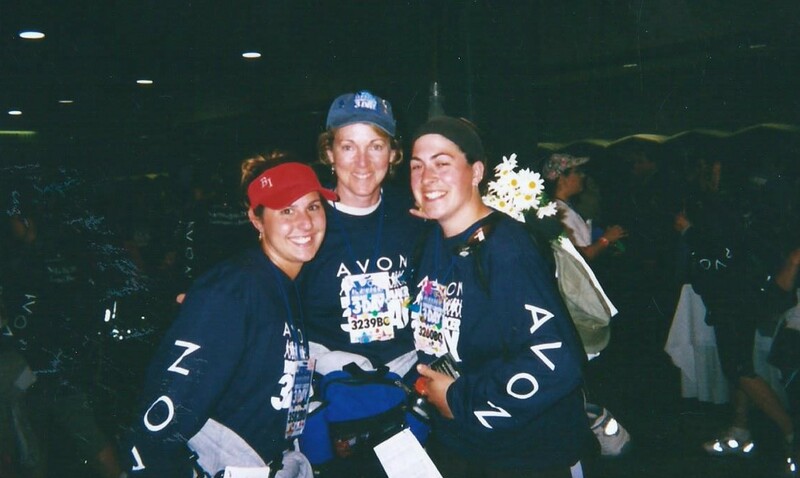 I had a life-changing experience walking in the Boston Avon 3-Day walk for cancer. 8.) I love the outdoors and insects. 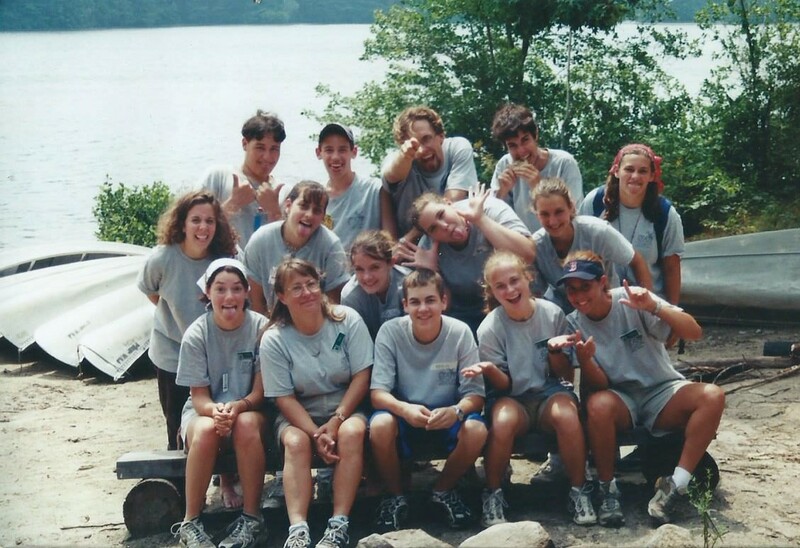 One summer, I worked as a counselor at an Environmental Day Camp hiking, catching creatures, birding, teaching nature lessons to elementary aged students. It was a dream job! 9.) 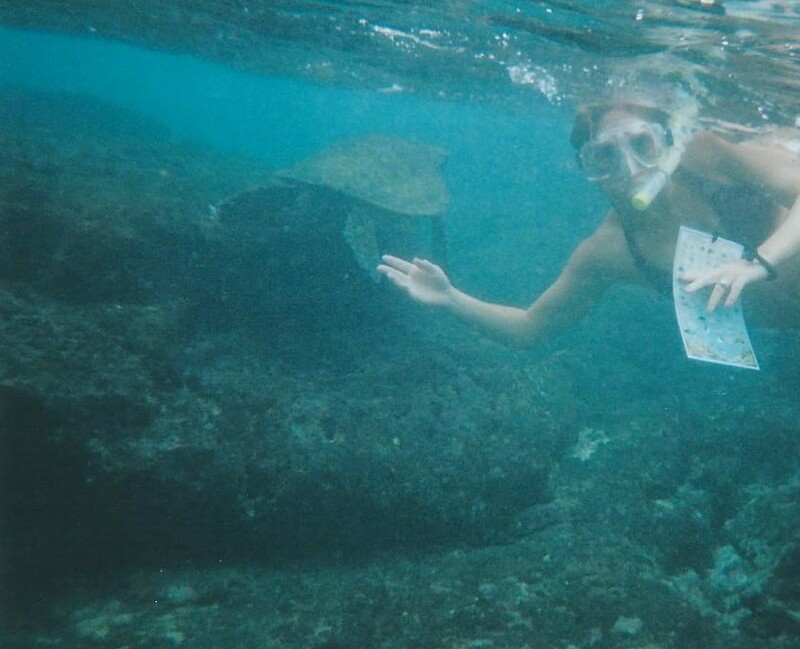 The most peaceful place I have ever been is underwater, snorkeling in Hawaii. 10.) My husband’s family owns a dairy farm in California. 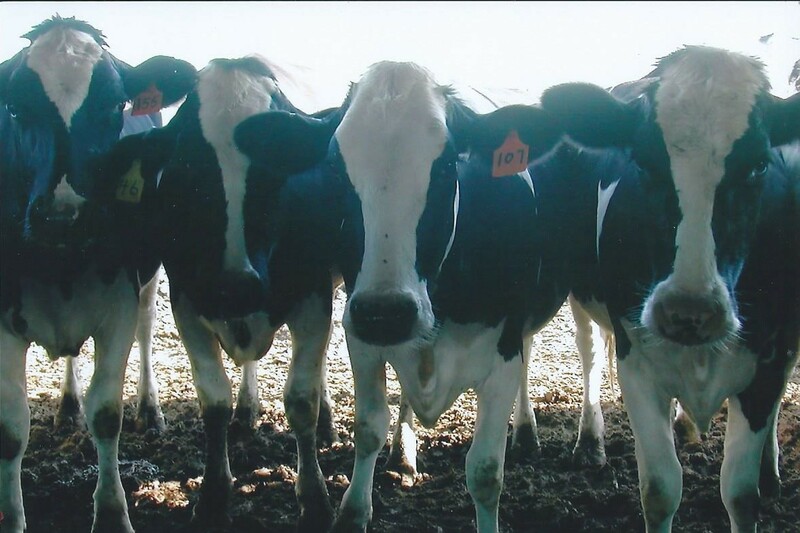 The milk from their 500+ cows is sold to a local cheese company. They also farm almond trees. The almonds are sold to candy companies. 11.) 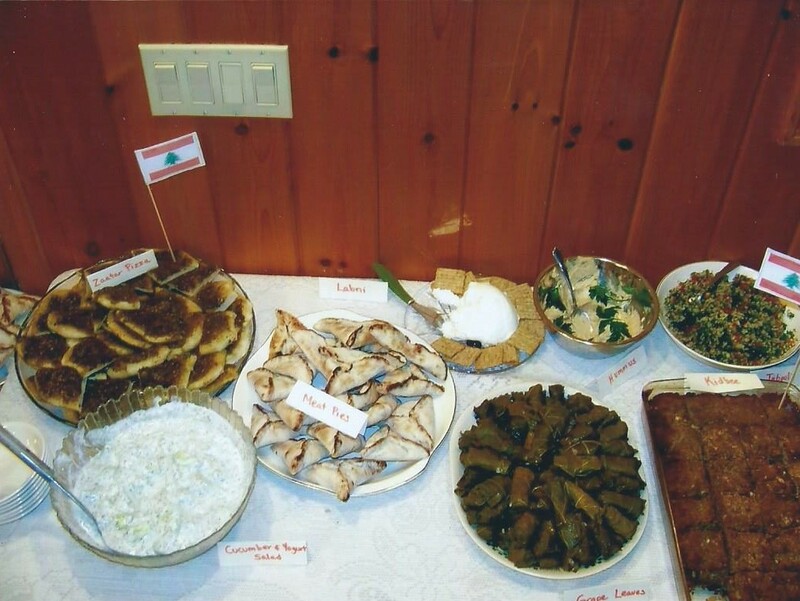 We celebrate Christmas Eve with Lebanese food. Last year, my girls and I rolled our own grape leaves. 12.) I asked the Lord into my heart when I was ten. 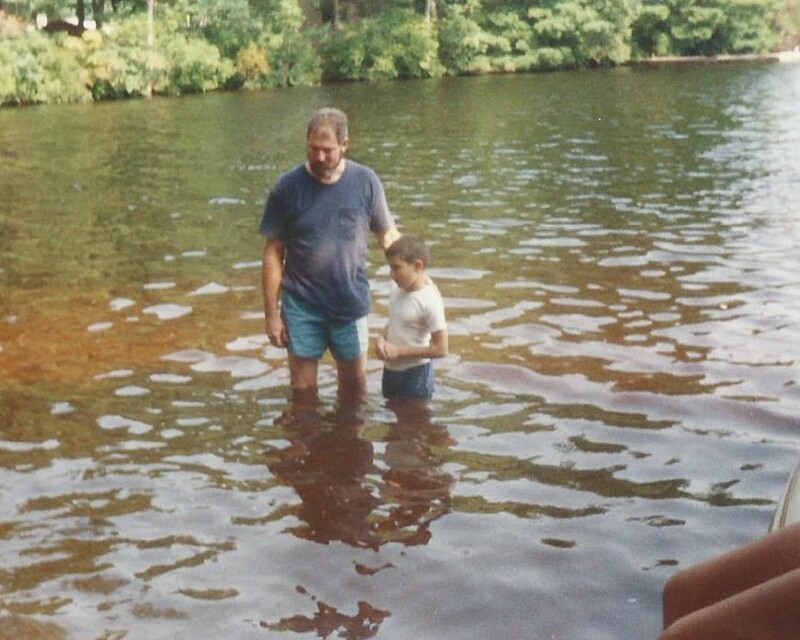 With our church watching, my dad baptized me in a pond. He has baptized all his children in the same place. 13.) I have a degree in elementary and special education. 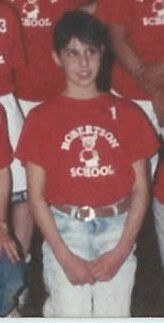 My first teaching job was in a K-12 school on Block Island. It is the only school on the island. I had 5 students! 14.) 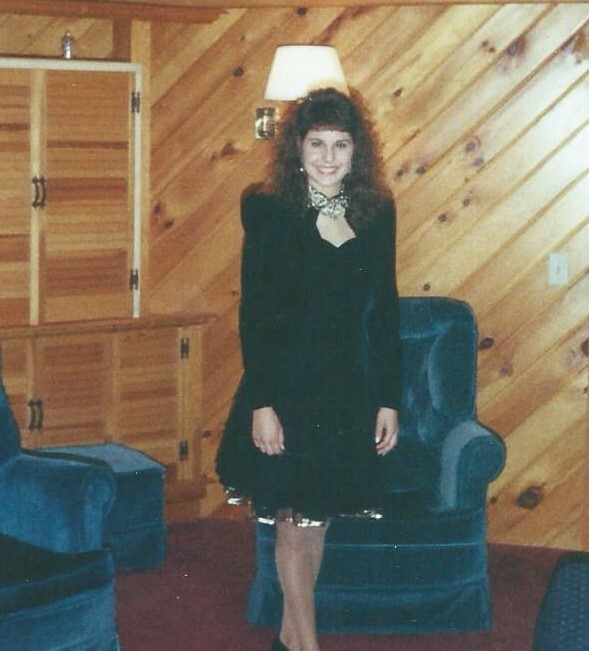 I had big hair and wore shoulder pads in high school. 15.) 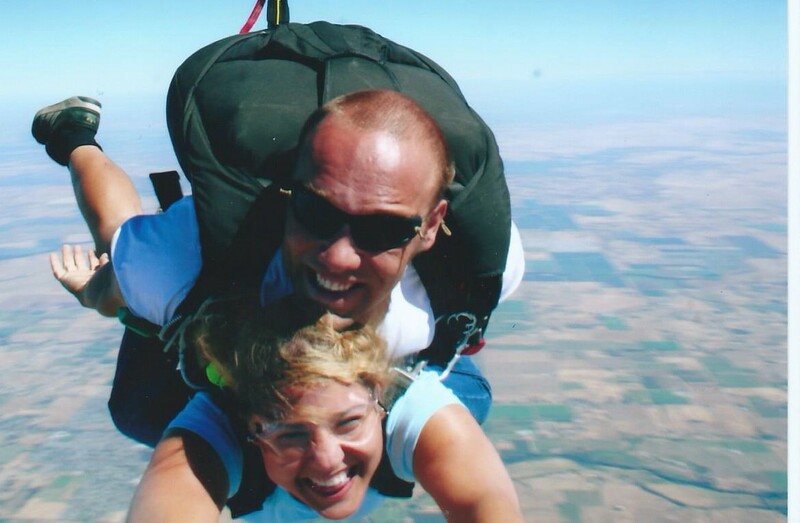 I have jumped out of a perfectly good plane, strapped to a complete stranger, and loved it! 16.) 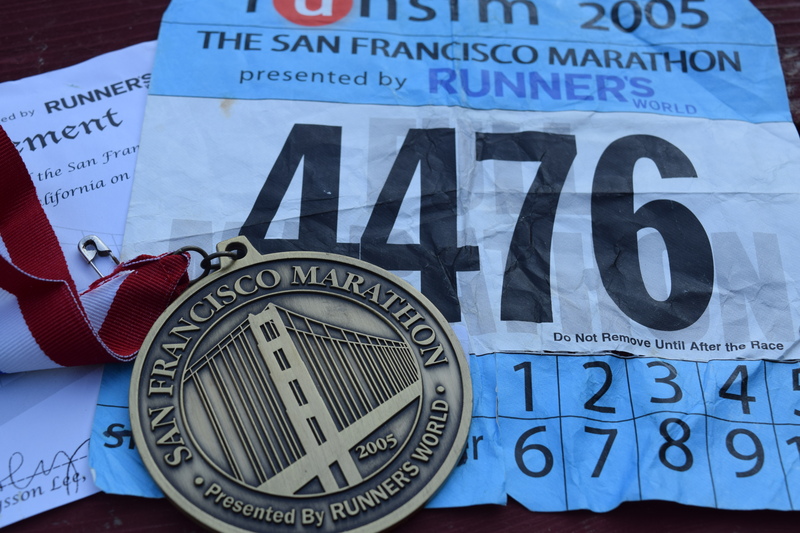 I ran over the Golden Gate Bridge in the San Francisco Marathon. 17.) 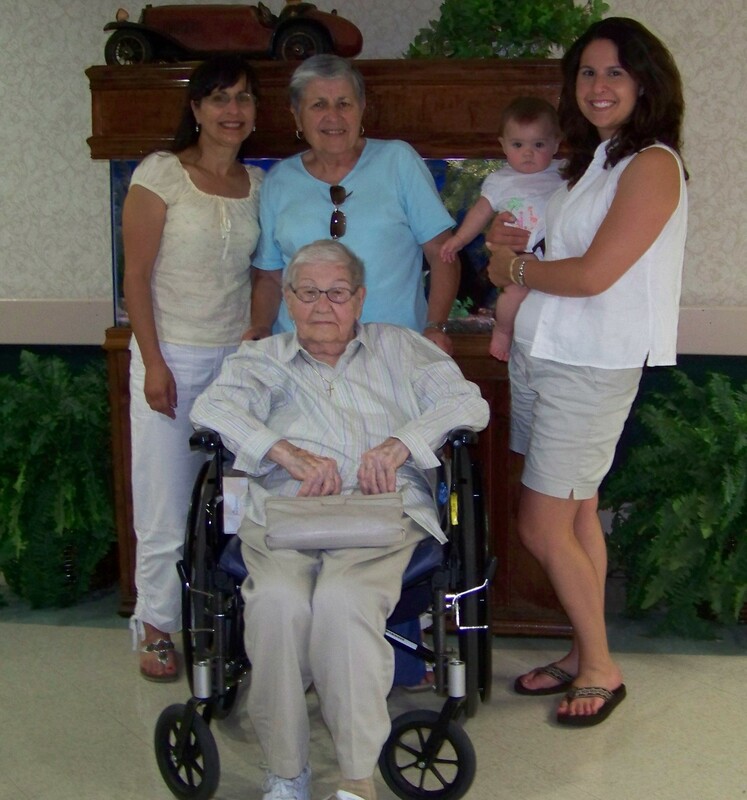 I come from generations of strong, short Portuguese ladies. I am glad that my daughter “met” her great-great grandmother before Nana passed. 18.) 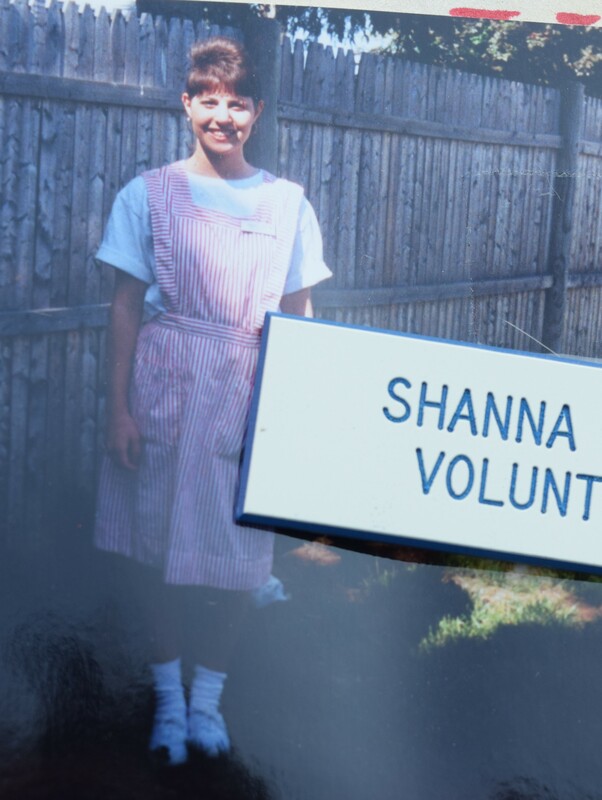 The closest I will get to a “Call the Midwife” moment, was in high school when I volunteered as a candy-striper in a local hospital. No babies were delivered but a lot of smiles, cards, and flowers were. 20.) I have three beautiful children. Two daughters and a son. 21.) I thought I would never homeschool but we are going on our fourth year of doing so. It has been the greatest blessing for our family. 23.) 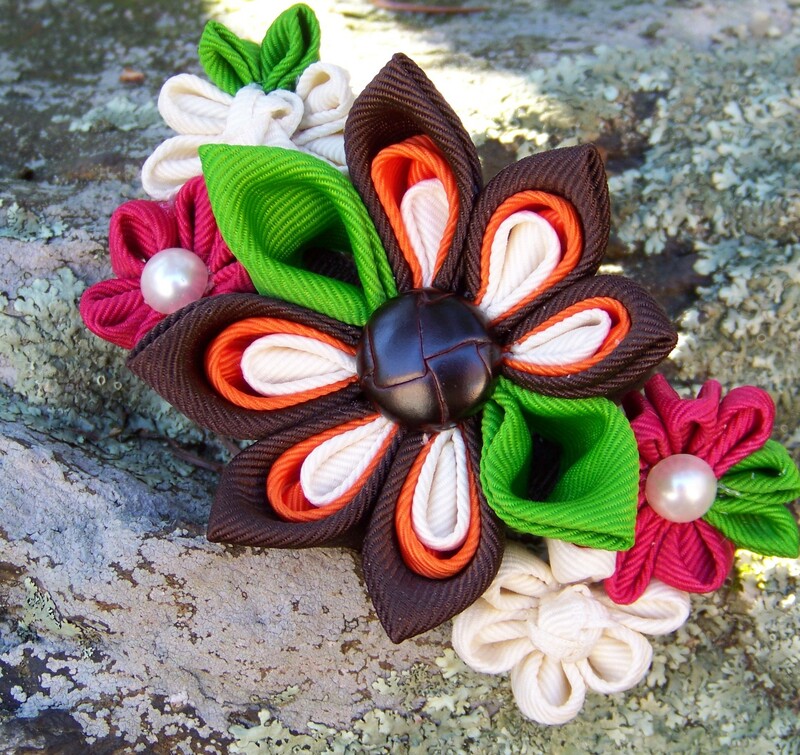 I owned a small business and Etsy shop making hair bows. 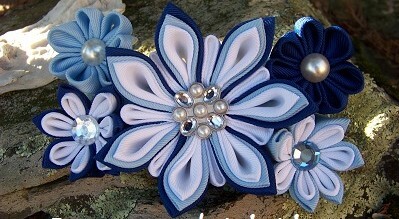 I have made bows for babies, special occasions, pageants, parades, AND dog’s birthday parties. 24.) My favorite memories are those with my sister. I wish she lived closer. Writing a list is a great activity. It’s a noted celebration of where you have been and a snapshot of some of your accomplishments. It is a great opportunity to reflect on the good things in life and take notice of the events and experiences that have shaped you into the person you are today. In a MOPS group, writing this type of list could serve as a get-to-know you or an ice breaker activity. Each mom could take 5-7 minutes to write down 25 things (or as many as possible) about themselves. As a whole group or in smaller Discussion Groups, a designated person (Mentor Mom, DGL) collects the lists and reads a few of the 25 items as clues to the mom’s identity. After hearing the clues, the group guesses who the list belongs to. 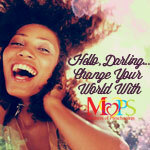 We did this is our small MOPS group and it was a lot of fun. We learned more about each other, similarities were found, and we had more to talk about with each other. 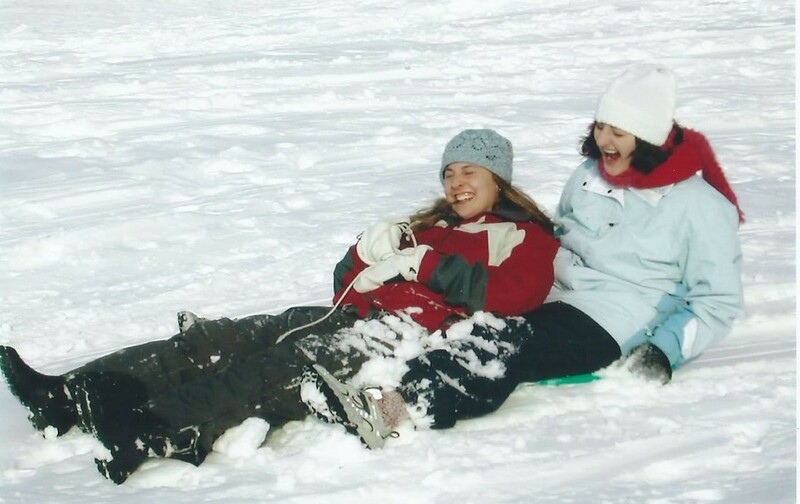 With the lists completed, Discussion Group Leaders and Coordinators could encourage moms to pick one thing off the list that the moms want to “bring back” or to “flourish” in again. Skiing was something I put on hold when I had kids. It was something I still desired to do. With a little work, effort and a babysitter, I revived the “sport” and now am looking forward to enjoying more of something that I thought I lost. Below is a link to a PDF file that I created. Use the worksheet for personal reflection or in an activity with your group. What is my plan for summer? I plan to breathe in, gaze at, listen intently, and feel fully each moment of summer. For the first time in months, our calendar will be void of weekly classes, programs, and commitments. I intend to guide my family into the many possibilities of a blank schedule with a call for new adventures and sensory experiences. This will not be easy for me. This will take practice. This will take grace. I am a planner – a Type-A personality by nature. I like schedules, lists, agendas, a beginning time and an end time. I like to carry my planner with me. I have not always been this way. I used to be a dreamer, a free spirit, an adventurer, a lover of the glorious and spontaneous moment, a hopeless romantic. Somewhere between my first teaching job and my third child, those characteristics got pushed aside and buried deep within me. As each new season of life approached, I changed. My approach to life changed. Schedules and lists took over spontaneity. Safety over adventure. Reality over dreams. BUT my seasons continue to change. My babies are growing up. I am getting older. If I am not careful, I will be swept away in the current of this quick paced world. I do not want to miss a moment. I am ready to unearth my old adventurous, dreaming, spontaneous self. This summer, I will lead my family on mystery adventures. 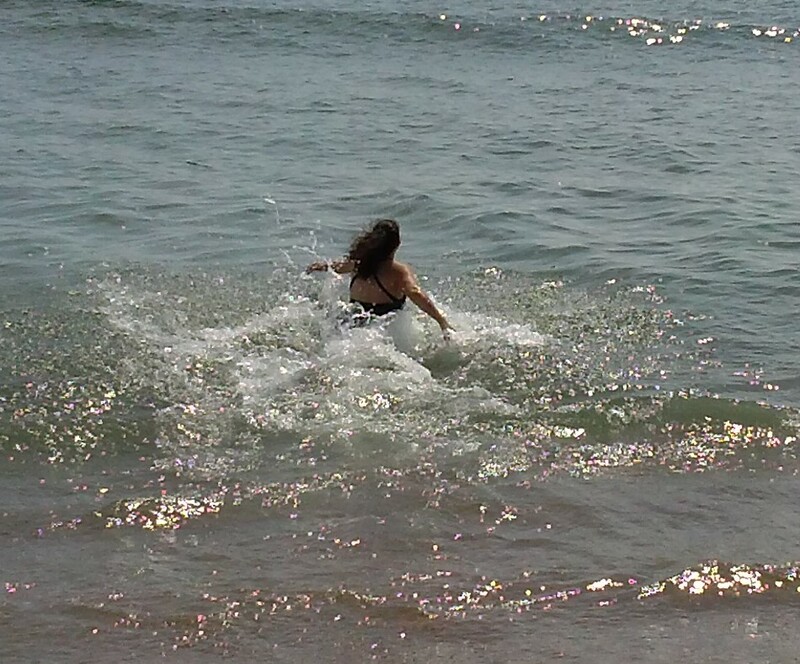 I will jump into the freezing cold, icy Atlantic Ocean with my children. I am going to choose the cone over the safety of a cup and let the cold, sweet ice cream dribble all over me while my children laugh. I am going to feel the warm sun on my face. I am going to gaze in awe at the sunset skies. Most importantly, I am going to quiet myself and listen to God’s prompting, move to be in step with his plan, and embrace the rest summer offers while I notice the good gifts he has given me.